Start planning your World Metrology Day celebration now! May 20 will be the 139th anniversary of the United States as one of the original signatory nations of the Convention of the Meter also known as the Treaty of the Meter. On that day the world took a leap forward and officially recognized the need to protect and improve the metric system (or SI as it is known on the rest of the planet), through the creation of the International Bureau of Weights and Measures (BIPM). It is an intergovernmental organization that comes under the authority of the General Conference on Weights and Measures (CGPM) and the supervision of the International Committee for Weights and Measures (CIPM). On that day in Paris there was agreement on how the organization would be financed and managed, with member governments acting in common accord on all matters. yet, I’m still buying my hamburger by the pound, gasoline by the gallon and fabric by the yard. What’s wrong with this picture? Plenty and that’s why I’ve been researching his topic for almost two years. I trust the documentary I plan to make will raise awareness of how far behind the rest of the world we’ve gotten and we’ll want to do something about it. To commemorate this 139th anniversary, also known as World Metrology Day, I’ll give a talk at Mesa Public Library in Los Alamos, New Mexico on May 21 (Wednesday) at 6 p.m. The talk is free and open to the public. If you’re in the neighborhood, I hope you’ll drop by. I’ll try to be both informative and entertaining. 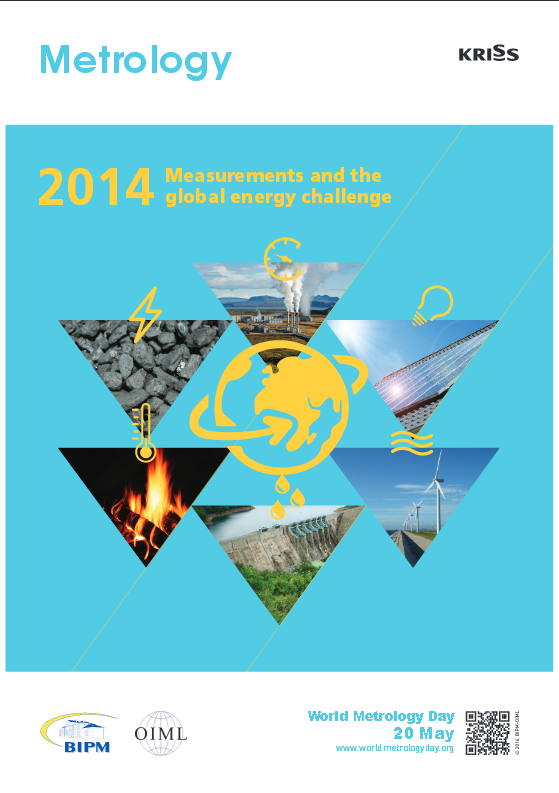 Just so you know, the theme for this year’s World Metrology Day is “Measurements and the global energy challenge” and is sponsored by the BIPM and the International Organization of Legal Metrology (BIML). World Metrology Day is an annual event during which more than 80 countries celebrate the impact of measurement on our daily lives. Feel free to join in to spread the word about all the advantages the metric system has versus our cumbersome U.S. customary units. While not new, I found an interview where Rachel Maddow celebrated World Metrology Day back in 2010. You can view the seven minute clip here. I don’t know that we’ll be in a better position to participate in World Metrology Day by the 140th anniversary (2015) but hopefully we will by the 150th anniversary, or sooner, if enough people in this country decide to do something about it.